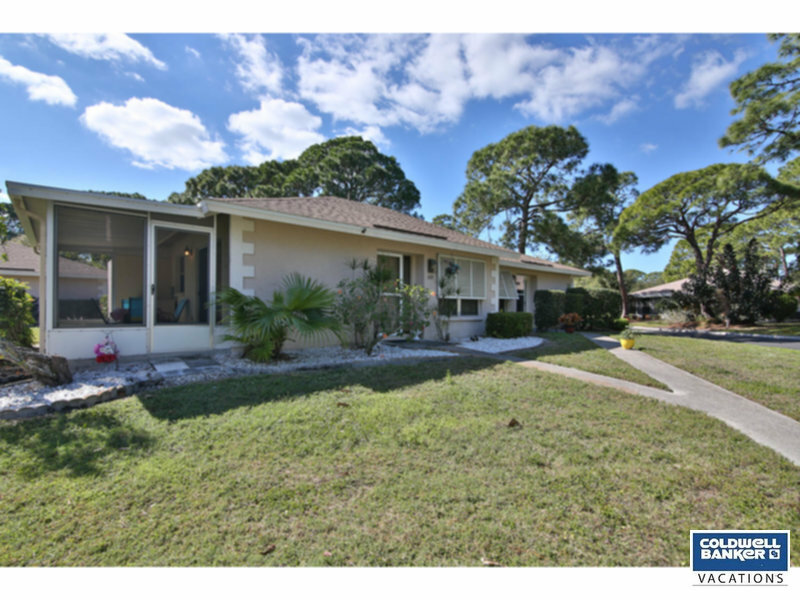 Treat yourself to Florida living in this peaceful two bedroom, two bath villa, tucked away within the quiet neighborhood of Jefferson Pines. Located close to it all, including Downtown Sarasota and minutes away from shops, dining, entertainment, Lido Beach, St. Armands Circle, and Sarasota Bay Front Park. Tile throughout the villa. Freshly painted with brand new fans and light fixtures along with a full size washer and dryer located in unit. There is a heated community pool for your enjoyment no matter what time of year you are vacationing, and your assigned parking spaces are just steps away. Cable and wifi included. Sorry, no pets allowed.